Only TabSite gives you a website of your fan page tabs! 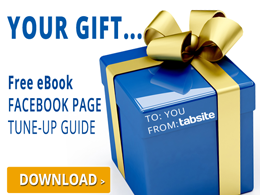 TabSite offers a website / MicroSite capability which extends your app to the web! Now you have another way to get your Fan Page found on the web. 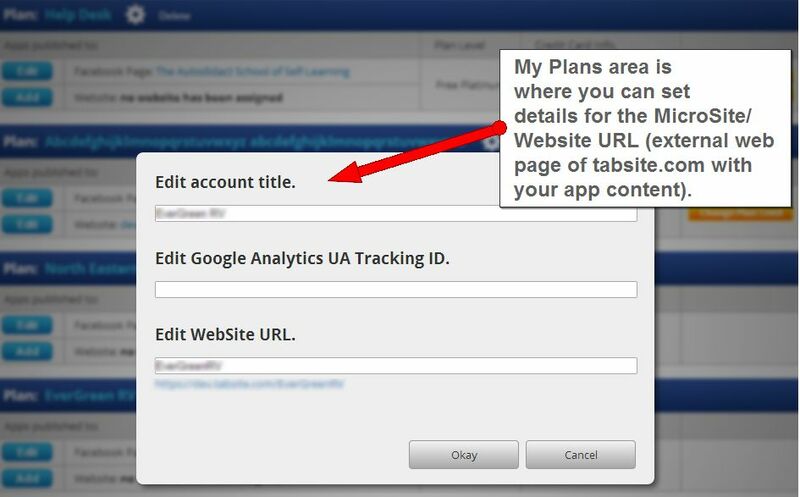 Access your MicroSite in the TabSite Manager area under Plans by clicking the settings Gear as shown below. A MicroSite is a mini website landing page (web page on tabite.com) with social sharing features. 3. Add the URL you wish to have for your landing tab. Why a Landing Page Web page MicroSite? It's like a lead capture paradise! Direct traffic from your campaign direct to this landing page and you know the results of your campaign efforts! CUSTOMIZE YOUR URL: You choose your own custom URL, which are on a first-come-first-serve basis available first to paid plan users only at this time. With a a TabSite MicroSite your app content will achieve better search engine indexing! Again, MicroSites are available to all TabSite users and there is no additional charge. If you haven't already done so, SIGN UP for a FREE TabSite today and get ready to use the advanced MicroSite tools available to all TabSite users!